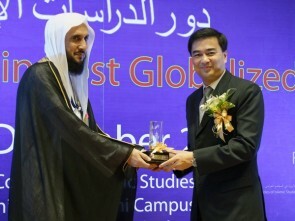 Prince of Songkla University (PSU) hosted the International Conference titled “Roles of Islamic Studies in Post-Globalized Societies” from December 21-23, 2010. 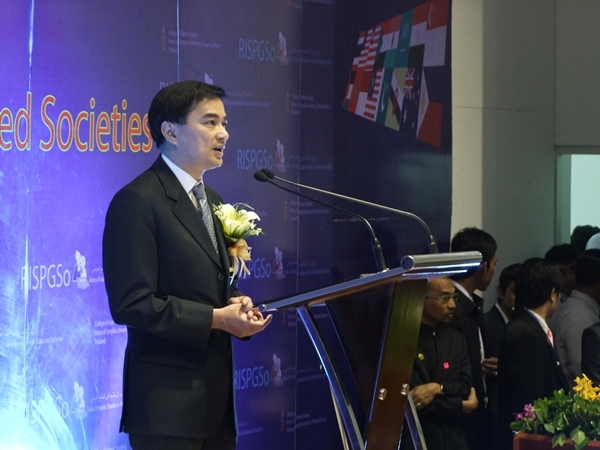 His Excellency Mr. Abhisit Vejjajiva, Thai Prime Minister, inaugurated and presided over the open ceremony at the College of Islamic Studies, PSU Pattani Campus. 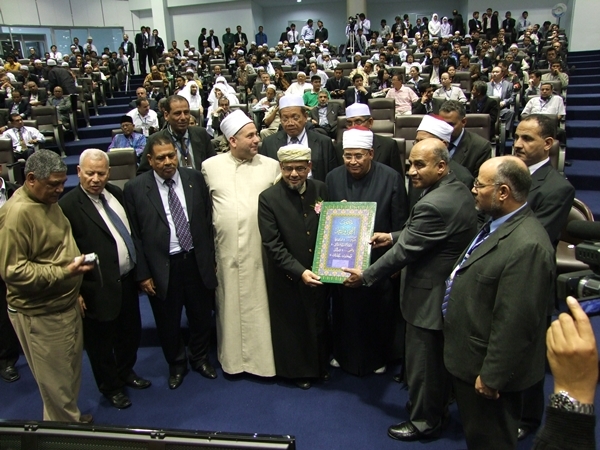 Prominent educationists and dignitaries from various Islamic higher institutions from all over the world attending this conference, sharing and exchanging remarkable ideas about Islamic Studies in the new era. 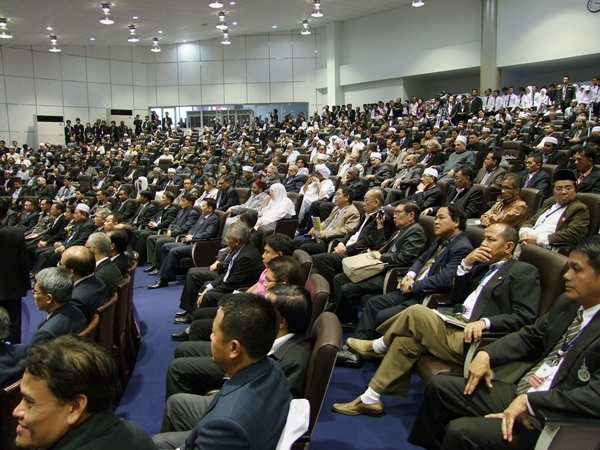 There were 85 participants from foreign countries: Egypt, Qatar, Jordan, Sudan, Chad, Tanzania, Turkey, Pakistan, China, Saudi Arabia, Morocco, France, Tunisia, Malaysia, Indonesia, Cambodia, and 413 participants in total. Associate Professor Dr. Boonsom Siribumrungsukha, PSU President, noted that in 2002, Prince of Songkla University initiated a project in order to prepare the College of Islamic Studies to be excellent. PSU supported this project by increasing the number of lecturers, equipments, teaching materials, the budget for collaborating with foreign university partners, and constructing a new building. 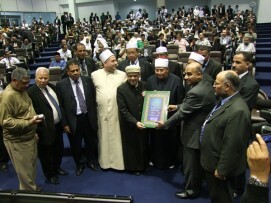 At that time, in 2002, the College of Islamic Studies had about 250 students and 14 lecturers. At present, it has 1,200 students and 40 lecturers, inclusive of foreign lectures. The College of Islamic Studies offers Bachelor’s Degree programs in Islamic Studies, conducted in both Thai and Arabic language. It also offers Bachelor’s Degree programs in Islamic Education, Islamic Economics and Management, Islamic Law, Middle East Studies, as well as Master’s and Doctoral degrees in some areas. In order to see the rapid development of Islamic Studies, the university has adapted some of its regulations, like for example allowing the students to write their thesis in Arabic. 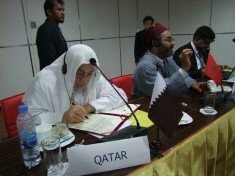 Moreover, in the near future the College of Islamic Studies will establish an Institute for Islamic Teacher Development and the Center of Arabic language. The purpose of this institute is to develop the quality of the Islamic Studies teachers. 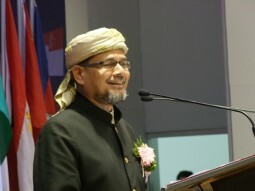 PSU President also added that Prince of Songkla University also wishes to develop the College of Islamic Studies to be the hub of education in Islamic Studies for the Muslim world in this region. 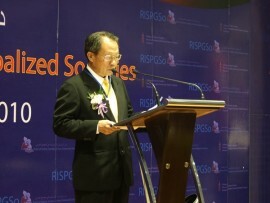 PSU hopes to have more and more students from Malaysia, Indonesia, Brunei Darussalam, Philippines, Cambodia, Laos or P.R. 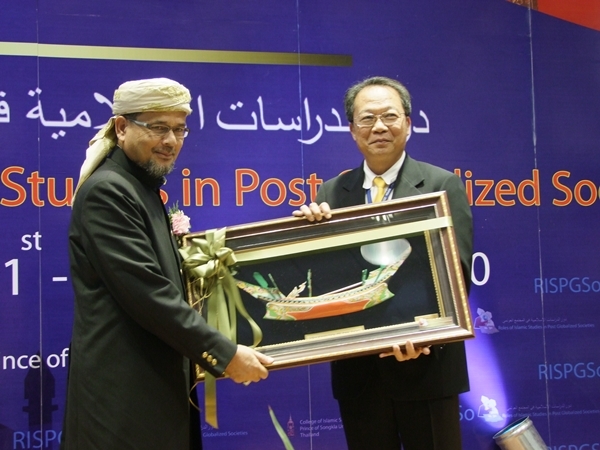 China studying in the Islamic Studies program at PSU Pattani Campus. 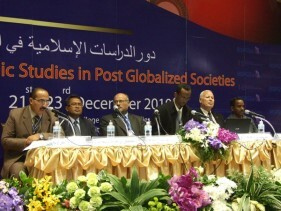 In addition to the development of Islamic Studies, PSU wishes to develop its students to be competitive global citizens. Therefore, PSU offers five-year dual degree programs, such as the current dual programs in Islamic and Political Sciences, Islamic Law and Law, and will have in the future a dual program in Islamic Economics and Economics. When the knowledge from these programs is combined with the background of the local students who are acquaint with various languages, such as Arabic, Melayu, English, and Thai, PSU believes that these students will be able to become competitive global citizens. They will be capable to make themselves a good life and compete for their careers in Middle East, ASEAN, and all around the Globe. During the conference were presented many academic papers, researches and round table discussions on Islamic Studies from worldwide universities, in order to elevate the quality of the Islamic Studies of the College of Islamic Studies, Pattani Campus in particular, and the Islamic Studies in Thailand and the world in general. 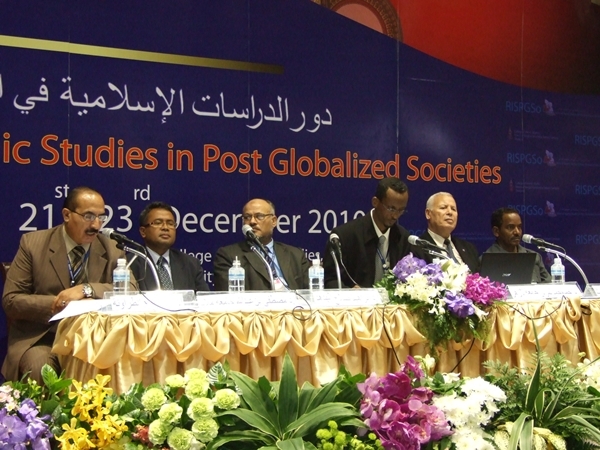 The challenges of the Post-Globalized era were at the center of all presentations and discussions. 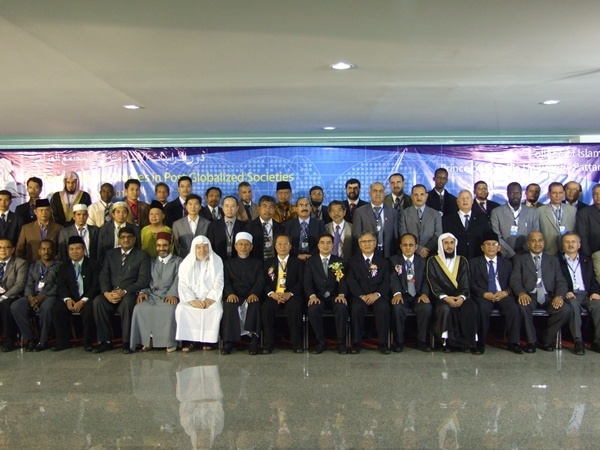 One of the most significant moments of this conference was the signature by representatives of all participating countries of the Pattani Declaration, which agree on several key principles to develop the Islamic Studies. 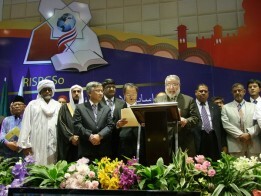 One of these points is that Islamic Studies shall emphasize the values of peace and harmony not only among Muslims themselves, but also among the entire mankind. 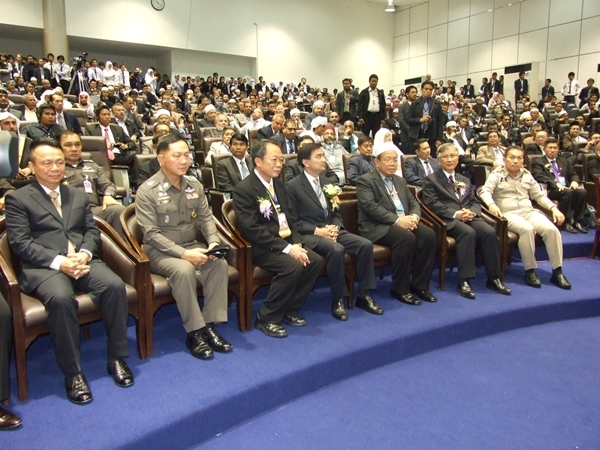 This international conference also facilitated several bilateral meetings between PSU and institutions from Middle East (Jordan, Morocco), Europe (Turkey), and Asia (Malaysia, Indonesia, and Cambodia). Moreover, PSU signed a Memorandum of Understanding with AL-Neelain University from Sudan. 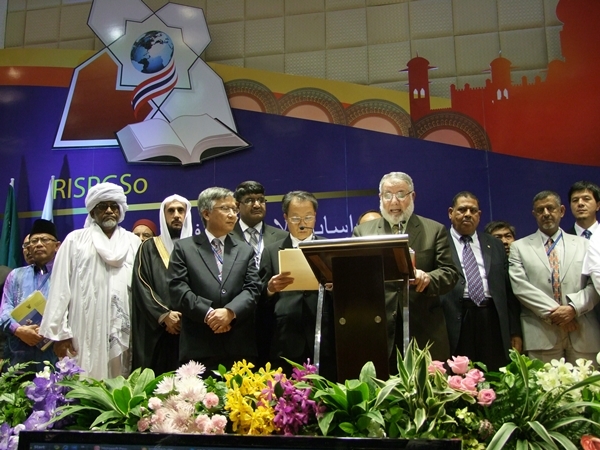 The Closing ceremony of the International Conference was honored by Sheikhul Islam of Thailand, who addressed an inspiring speech to all participants, and who had an important role in inviting Muftis and many other religious leaders from Asian counties to attend this conference.